In April of this year I was given an Honorary Membership into the Southern Highland Craft Guild. It was in 1988 that I was first a staffer in the craft shop at the Folk Art Center, and ever since I have had opportunities to promote, work with and become friends with those in this organization. It's been a pleasure to work in the craft industry alongside the Guild for the past 30 years. My 'story' was featured in WNC Woman magazine in June of this year! Page 54-55. July - the UNC-TV segment that I hope you'll enjoy seeing! Since May is the month for Mothers Day it occurred to me that we have some pretty amazing women, "our Craft Mom's" (actually more like - great, great grandmothers) in our craft history here in Western NC! Our craft history traces back to these women (and several other) advocates whose legacy is still alive through the organizations and schools they founded. 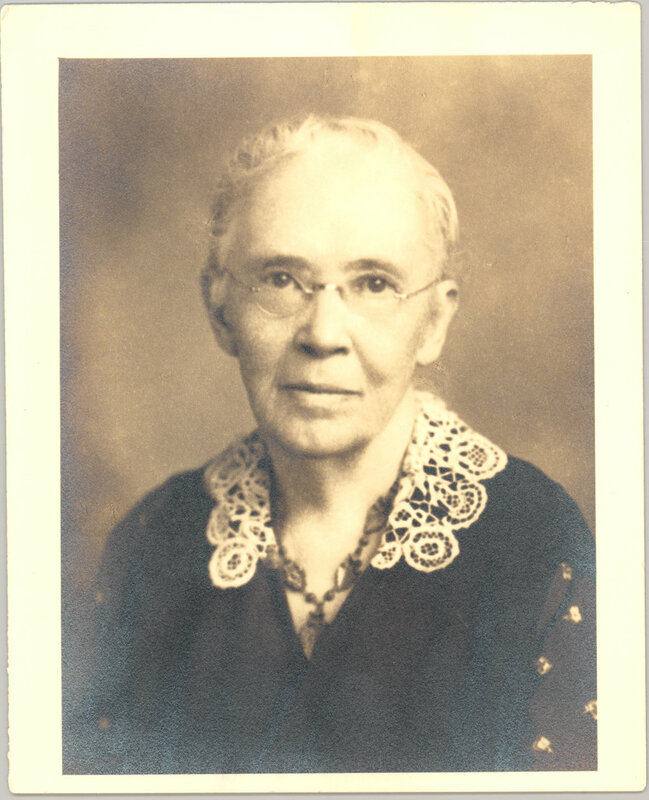 Topping the list would have to be Frances L Goodrich, the teacher and advocate for handicraft going back to the 1890's. She established Allanstand Cottage Industries to market woven goods, baskets, chairs, pottery, etc. made here in the Western NC region. She moved Allanstand into Asheville in 1908 making it Asheville's first craft shop. Allanstand Craft Shop remained in downtown Asheville until 1981 when it was relocated to the Blue Ridge Parkway, inside the newly built Folk Art Center, of the Southern Highland Craft Guild. Then, the same as today, there was a community of people working to teach, preserve, advocate for, and promote arts and crafts. Those that come to mind include: Lucy Morgan, Eleanor Vance, Charlotte Yale, Edith Vanderbilt, Olive Dame Campbell, Louise Pittman, Clementine Douglas - each playing part in the legacy of craft in the greater Asheville region. Western North Carolina has another great lineup of artsy happenings and special events scheduled in 2018! Many of these events are long standing annual events, and some are new and in the planning stages. New for this year includes lots of Glass Art events! 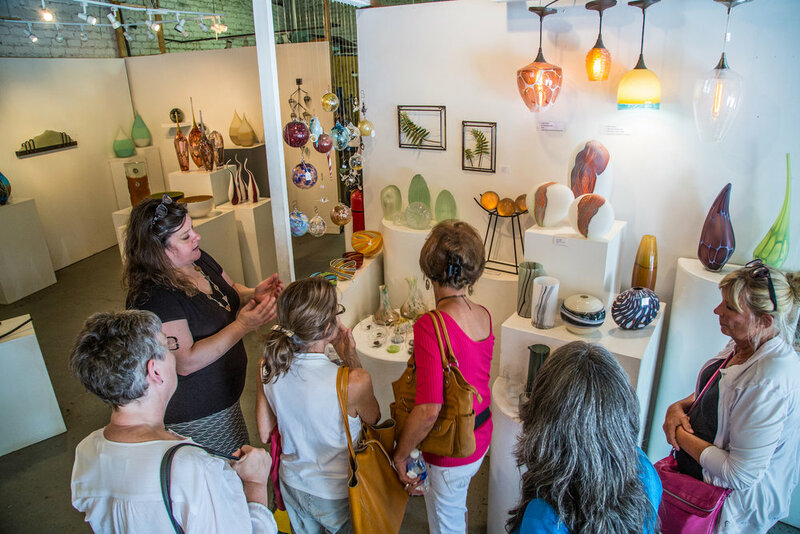 Asheville's Summer of Glass will be taking place from late May - early October 2018. This site will be populated soon with details, so check back regularly! March 10: Asheville Art Museum, Crafting Abstraction New exhibition opening. 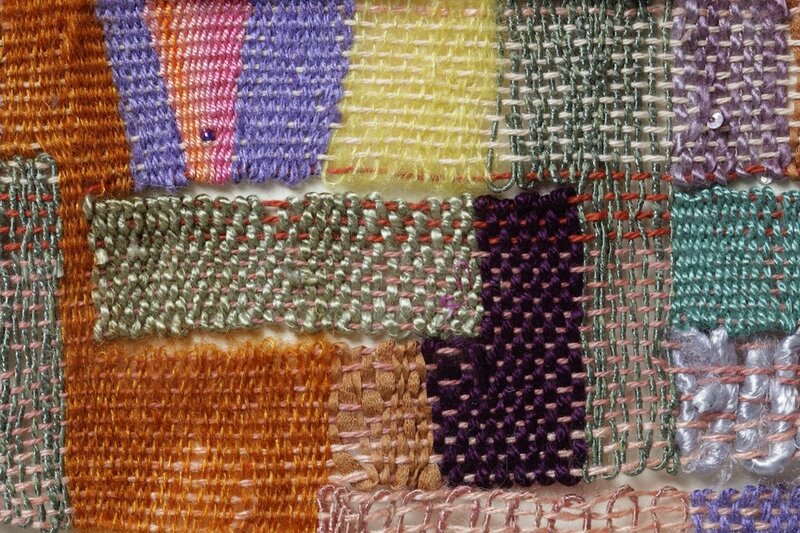 June 2: Cloth Fiber Workshop, Abundant + Local + Natural: Spring Dye Plants, 10a-4p. In this new year I wanted to just re-introduce myself. I know some of you very well, and some of you I don't know at all - yet! I'm Sherry Masters - a local to western NC, and I have always loved beautiful handmade objects. I grew up in a rural area, north of Asheville, on a mountainside…my family, especially my Dad and uncles worked together to garden, raise crops of tobacco (everyone did back then) and to fix, build, or make what was needed around the house, in addition to their other employment. As a child I remember being amazed at seeing my uncles make toys for me out of just what they found around the house and yard...creativity is in my heritage. It just took a while for me to recognize it! Details of an art object jump out at me, and I love seeing intricacies in design. I enjoy hearing how someone thought of making what they made. The joy artists have in creating is contagious! After graduating from college I've worked for and with artists (over 30 years) primarily as a Buyer for fine craft galleries - but I've also served on local and national committees, I've been a craft show juror or judge many times, and I've always enjoyed planning special events featuring art. Over all these years I've met and worked with many of the talented artists in Western NC. When I retired from retail ;) I was given the idea to do tours - that was 2012, and I haven't looked back! Art tours are inspiring and so much fun! We visit and make connections with a wide range of creative people in this region. Some are extroverts and some are quieter, they are dear people and it's a pleasure for me to introduce you to them! A throwback photo from '02 when an article was published about Grovewood Gallery. Gita 3rd from left. We lost a beloved member of the Asheville craft community in October 2017. Margrit (Gita) Binkley was a native of Switzerland, lived in north Asheville, and worked at Grovewood Gallery for approximately 30 years. She loved art and handmade and you could easily see that reflected in her home. Cooking, gardening, quilting and supporting her neighbors and friends kept Gita going after her move to Asheville. She had four children of her own, and many grandchildren, but she adopted her Grovewood family and took care of all of us as well. Gita kept a constant flow of home cooked treats coming in the door for her fellow staffers. She sort-of cycled through her favorites of the moment, including: chocolate chip banana bread; rotisserie chicken, brie and French bread from the nearby Fresh Market grocery; homemade rhubarb pie; double chocolate chip cookies…from a recipe she got from Good Morning America; then there was the time she was stuck on making vichyssoise – it was not our favorite (but we ate it because we hated to disappoint Gita, and knew she worked hard cooking for us. I think some staff sneaked to the bathroom and poured it out!) If you were sick, she brought or sent homemade chicken noodle soup. Then there was her special childhood Swiss cookies she made and brought in around Christmas time (they were little bricks). If you received an invitation to her home, you likely enjoyed shrimp and grits or even steak from her outdoor grill. My oldest son, Ian, was the first ‘Grovewood baby’ and he received a special handmade baby quilt by Gita. She loved to quilt, she didn’t use a sewing machine – all of the piecing and quilting was done by hand. Gita made lots of quilts. I think certainly all of her grandchildren got a quilt. She occasionally made one to sell in the gallery. In her ‘spare time’ (ha) Gita was an excellent gardener. She was proud of her lovely flower garden and often brought cut flowers in to the gallery to brighten a vase or ikebana arrangement on the sales counter. Gita worked for The Homespun Shop of Biltmore Industries before the shop was renovated and renamed Grovewood; she stayed on through many transitions and growth periods. She and I worked together on Sundays in the early days of Grovewood Gallery. She “told me” I should make two needlepoint designs for her chairs that needed new seats – I did. She suggested I plant climbing hydrangeas at my and Marks’ new home, which had a shady retaining wall area – we did. I still have many recipes she gave me. I wish I had more photos of her. On one occasion Mark and I planned a trip to Europe and Gita went out of her way to list places and sites we should go see – and to tell us memories from her youth when she traveled to different countries. She was an amazing woman. She inspires me still. Thank you, Gita Binkley, for being such a giving person.